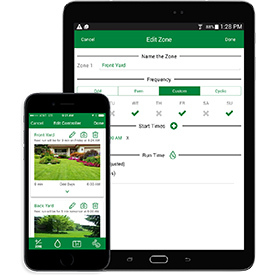 Rain Bird’s LNK WiFi module enables contractors and their customers to manage irrigation remotely via a free mobile app. Compatible with the company’s new ESP-Me and ESP-TM2 controllers, the LNK WiFi module receives weather information from the internet, automatically adjusting system schedules. Users receive notifications that assist with system troubleshooting, diagnostics and operation. The LNK WiFi module is designed for property owners who want more hands-on control over their systems Smart Irrigation Month approaches, as well as for contractors who need to manage controllers at various sites. Contractors can group controllers by location to improve technician efficiency and simplify service calls.